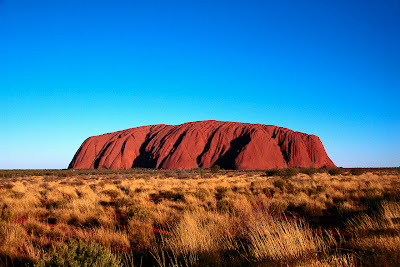 Uluru also known as Ayers Rock, is a large sandstone rock formation in the southern part of the Northern Territory, central Australia. 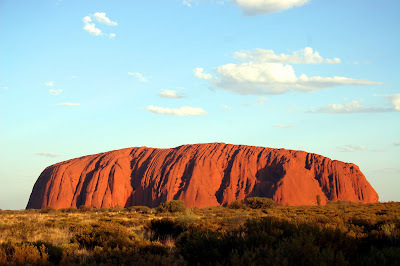 It lies 335 km (208 mi) south west of the nearest large town, Alice Springs; 450 km (280 mi) by road. 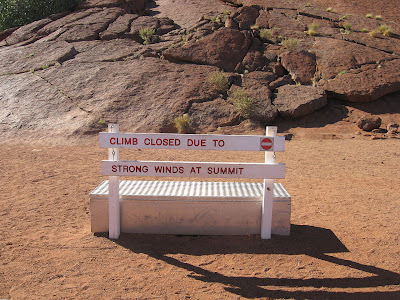 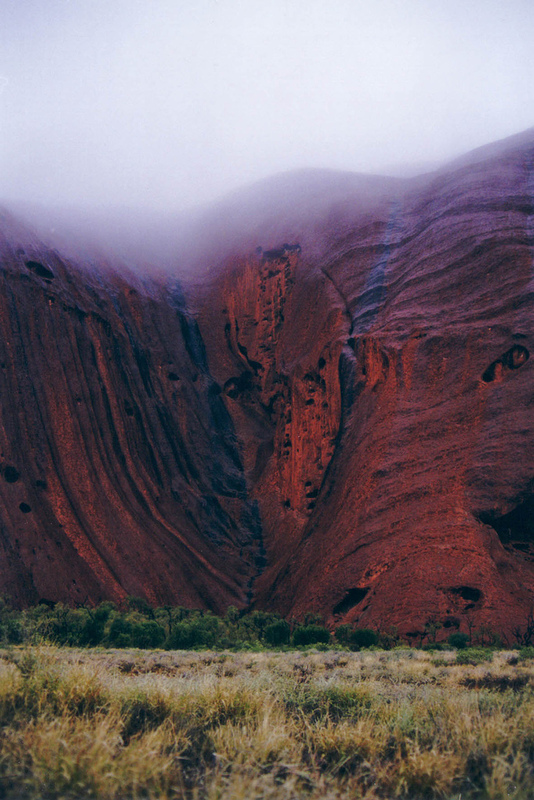 Kata Tjuta and Uluru are the two major features of the National Park. 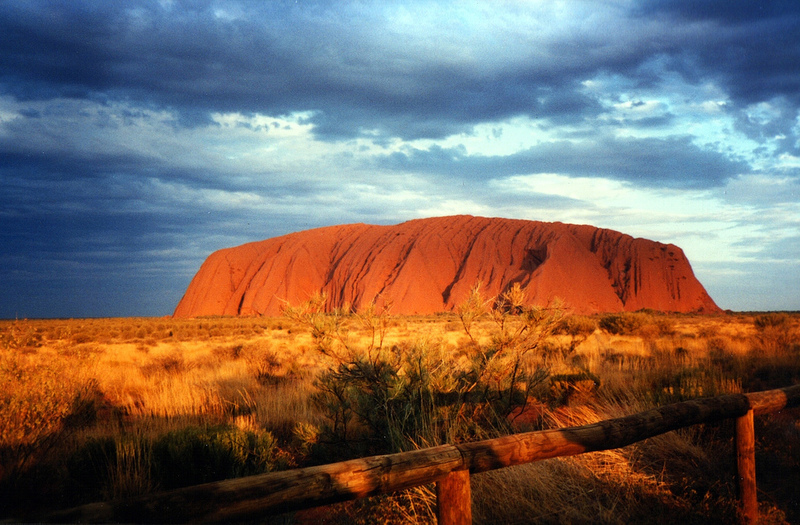 Uluru is sacred to the Aṉangu, the Aboriginal people of the area. 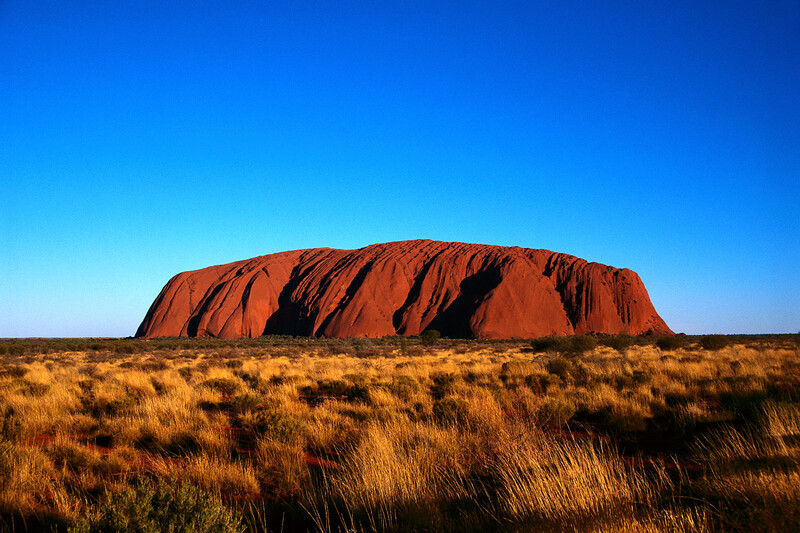 The area around the formation is home to a plethora of springs, waterholes, rock caves and ancient paintings. Uluru is listed as a World Heritage Site. 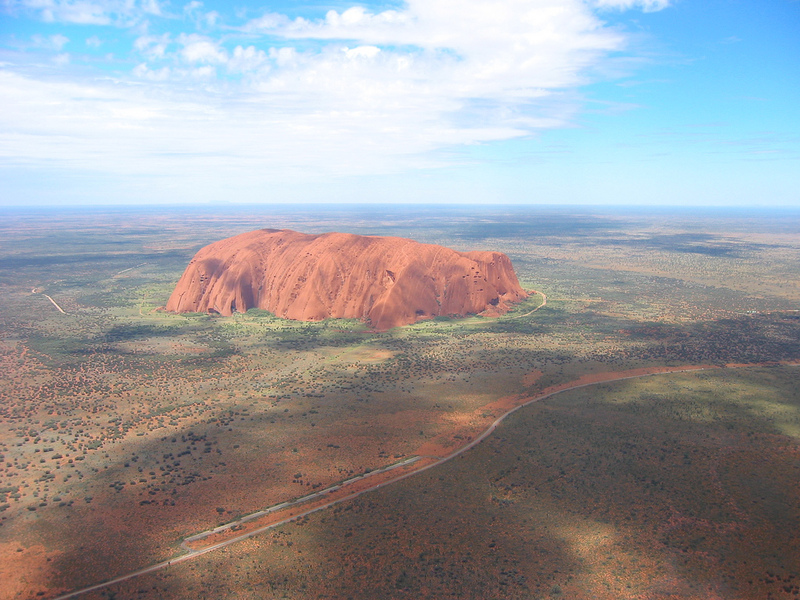 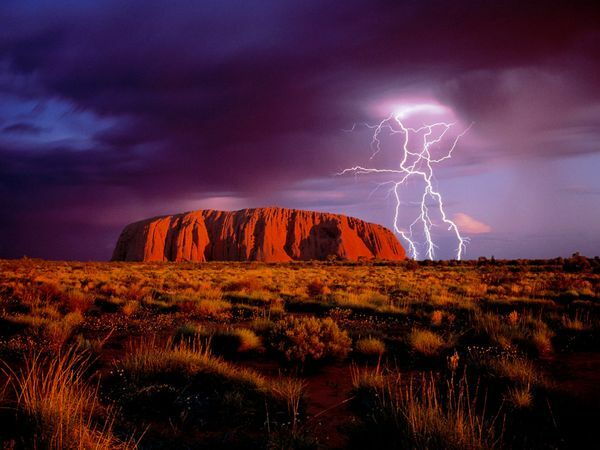 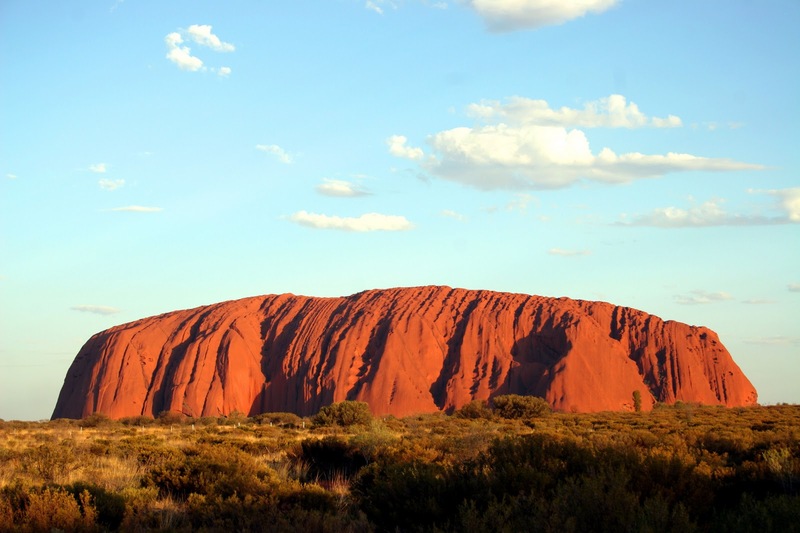 Uluru is one of Australia's most recognisable natural landmarks. 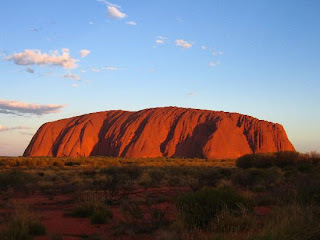 The sandstone formation stands 348 m (1,142 ft) high (rising 863 m/2,831 ft above sea level), with most of its bulk lying underground, and has a total circumference of 9.4 km (5.8 mi). Both Uluru and the nearby Kata Tjuta formation have great cultural significance for the people, the traditional inhabitants of the area, who lead walking tours to inform visitors about the local flora and fauna, bush foods and the Aboriginal dreamtime stories of the area. 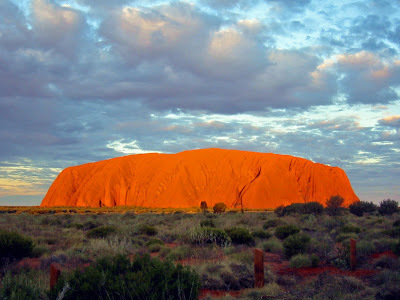 Uluru is notable for appearing to change colour at different times of the day and year, most notably glowing red at dawn and sunset.